Tiangong 1, China's defunct and reportedly out-of-control space station, re-entered the Earth's atmosphere Sunday night, Chinese space authorities say. It mostly burnt up on re-entry over the central South Pacific. Officials at the Joint Force Space Component Command said the satellite re-entered after 8 p.m. ET. Their statement mentioned that the reentry was confirmed "through coordination with counterparts in Australia, Canada, France, Germany, Italy, Japan, South Korea and the United Kingdom." Below are some questions and answers about the station, its re-entry and the past and future of China's ambitious space program. Its exact landfall was never certain, but on Friday, before updating the latest time window, the Aerospace Corp. said the debris would most likely descend into the Pacific Ocean. An expert told Space.com that Tiangong 1 would most likely begin its re-entry over Malaysia, and rain debris into the Pacific Ocean. Based on Tiangong 1's orbit, it was projected to return to Earth somewhere between latitudes of 43 degrees north and 43 degrees south, a zone that covers most of the United States, China, Africa, southern Europe, Australia and South America. Out of range are Russia, Canada and northern Europe. China's chief space laboratory designer Zhu Zongpeng previously denied Tiangong was out of control, but didn't provide specifics on what, if anything, China was doing to guide the craft's re-entry. Based on its size, only about 10 percent of the spacecraft was considered likely survive being burned up on re-entry, mainly its heavier components such as its engines. The chances of anyone person on Earth being hit by debris was considered less than one in a trillion. "This is a big thing the size of a school bus. Most of the stuff in it will just burn up in the atmosphere," Mordecai-Mark Mac Low, curator of astrophysics at the American Museum of Natural History, told CBS New York. Ren Guoqiang, China's defense ministry spokesman, told reporters Thursday that Beijing had been briefing the United Nations and the international community about Tiangong 1's re-entry through multiple channels. In 2011, NASA's Upper Atmosphere Research Satellite was considered to pose a slight risk to the public when it came down to Earth 20 years after its launching. Debris from the 6-ton satellite ended up falling into the Pacific Ocean, causing no damage. China's own space program raised major concerns after it used a missile to destroy an out-of-service Chinese satellite in 2007, creating a large and potentially dangerous cloud of debris. 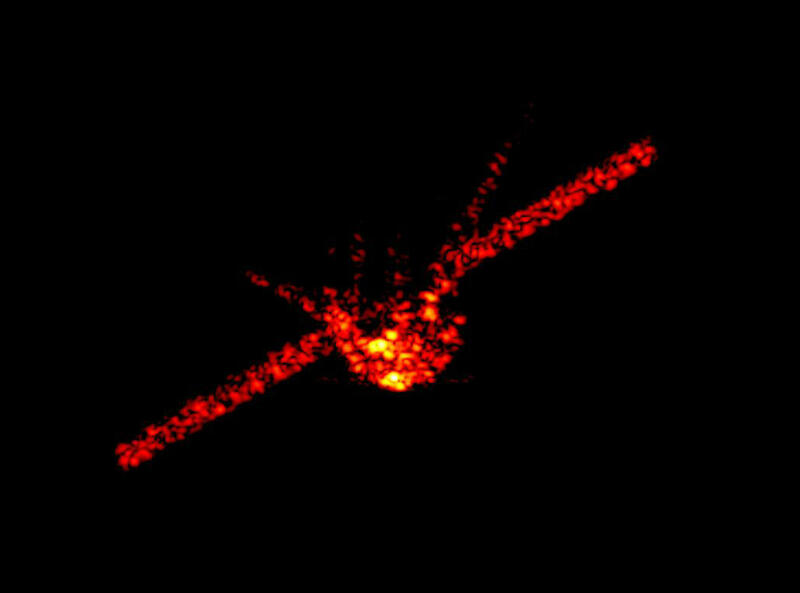 Launched in 2011, Tiangong 1 was China's first space station, serving as an experimental platform for bigger projects such as the Tiangong 2 launched in September 2016 and a future permanent Chinese space station. The station, whose name translates as "Heavenly Palace," played host to two crewed missions that included China's first female astronauts and served as a test platform for perfecting docking procedures and other operations. Its last crew departed in 2013 and contact with it was cut in 2016. Since then it has been orbiting gradually closer and closer to Earth on its own while being monitored. How advanced is China's space program? Since China conducted its first crewed mission in 2003 -- becoming only the third country after Russia and the U.S. to do so - it has taken on increasingly ambitious projects, including staging a spacewalk and landing its Jade Rabbit rover on the moon. China now operates the Tiangong 2 precursor space station facility, while the permanent station's 20-ton core module is due to be launched this year. The completed 60-ton station is set to come into full service in 2022 and operate for at least a decade. China was excluded from the 420-ton International Space Station mainly due to U.S. legislation barring such cooperation and concerns over the Chinese space program's strong military connections. China's space program remains highly secretive and some experts have complained that a lack of information about Tiangong 1's design made it harder to predict what might happen upon its re-entry.